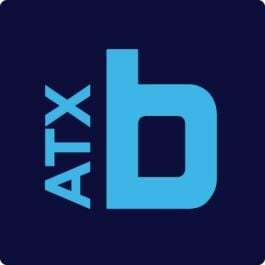 Austin tech funding took a dip this month, dropping from $141 million in April to just over $43 million in May. Fourteen startups raised funds, at an average deal size of about $3.1 million. These were the five largest rounds of the month. Bio: Formerly known as 3AxisData, SigmaSense develops sensing technology for consumer products like smart watches, tablets and mobile devices, as well as for large formatted interactive displays and custom projects. News: The company, led by CEO Rick Seger, announced its name change in January this year. SigmaSense did not issue a statement about the funding, which was reported in a regulatory filing on May 29. Bio: Pensa Systems solutions offer retailers and manufacturers an automated view of inventory through AI and autonomous vision capture. The company launched in 2016 and is currently testing its product in customer field trials. News: The funding will be put toward product development and to meet market demand, according to a press release. Bio: Keeping up with org charts can be a pain for any business, but especially for one undergoing rapid growth. In 2013, Pingboard launched to support ongoing company scaling efforts by automating the process on its real-time, collaborative org chart platform. Bio: CEO Jason Ballard launched TreeHouse in 2011 to provide green tech solutions and retail items that help homeowners live an energy-sustainable lifestyle. Ballard is also a co-founder of ICON, a new Austin startup capable of 3D printing concrete homes in less than 24 hours. News: The company announced shortly after the investment that it would be closing its Austin store in favor of a new location as it pivots away from retail and toward project-based installations. Its stores in Dallas and Plano will remain open. Bio: This AI company is creating a conversational chatbot capable of understanding user intent and preference in the real estate industry. OJO Labs has collected millions of photographic and conversational real estate data to develop a chatbot that is so functional that those conversing with it can’t tell it’s a bot. News: OJO Labs plans on using this Series B round to increase headcount on its product, engineering and data science teams.